This is our finest quality case, brought to you at a discounted price. 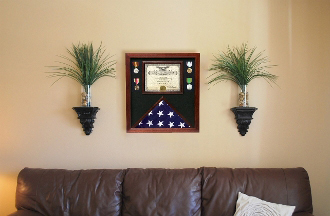 Why display your family heirlooms in a lesser quality case, when you can enjoy this furniture-grade flag and document case for less money than would be spent on the cheap imitations. This is our finest quality case, brought to you at a discounted price. Why display your family heirlooms in a lesser quality case, when you can enjoy this furniture-grade flag and document case for less money than would be spent on the cheap imitations. 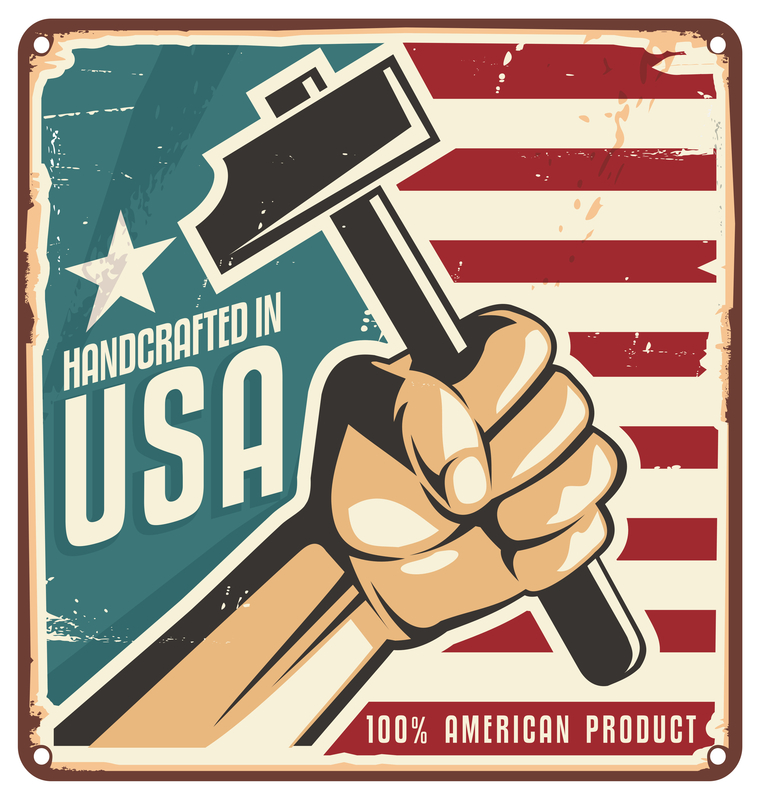 This case is the same as our Premium USA-Made Solid wood Flag And Document Case, but the wood has been finished with a rich cherry stain. Display your 3 foot x 5 foot flag with this elegant flag and document case made from solid oak and 100% made in USA. Along with your case you will also be able to securely display a 8.5 inch x 11 inch document in the document holder. It has a 1/8" tempered glass viewing pane (the same glass as in your car door) and the back board is covered in rich, luxurious black felt.